Hearing is a crucial part of a child’s cognitive and social development. Detecting hearing loss and getting treatment can affect a child’s ability to develop speech and language appropriately. Unfortunately, many parents don’t know what to look for and may miss common warning signs. Don’t let these signs of hearing loss pass you by. Let's take a look at what parents need to know about hearing loss. Many hearing-impaired children suffer from congenital hearing loss. Congenital hearing loss is present at birth. This includes hereditary hearing loss or hearing loss due to other factors present either in-utero or at the time of birth. Hearing loss can be acquired at any time after birth as well. Many cases of congenital hearing loss are caught when a child is born. Most states require a newborn hearing screening before being discharged from the hospital. If an infant does not pass, that doesn’t necessarily mean there is a hearing loss but that additional testing is needed. Possible reasons a baby may not pass initial testing can include fluid remaining in the ear after birth, technical issues, or crying during the test. Read more: My Newborn Failed the Infant Hearing Screening: What's Next? It is important to identify hearing loss as soon as possible. Speech and language development begins early and with the help of hearing aids or cochlear implants a child with hearing loss can reach the same milestones as their normal hearing peers. As your child grows, there are several signs you can look for that could indicate a problem with hearing. Infants should react in response to sounds or appear comforted when they hear a familiar voice. One indicator of hearing loss can be when a child doesn’t respond to sounds that should startle them like a barking dog or clanging of pots and pans. Around nine months, an infant should respond to the sound of their name. That is especially true when it comes from a parent or family member. By the time a child is twelve months, they should be babbling and beginning to imitate simple sounds like “mama” and “dada”. When they are about two years old, a child should be using many simple words. They usually understand the names of common objects and will begin to follow basic commands. They may also be more interested in stories and songs. In general, the child should be more interactive with their environment. By the time they reach preschool age and older, be mindful of any undeveloped speech patterns. A child with acquired hearing loss at this age may respond inappropriately to questions or ignore requests altogether. Another common sign is turning the volume up on the television or sitting close to it. While these indicators can help you identify the most common signs of hearing loss, they are not comprehensive. 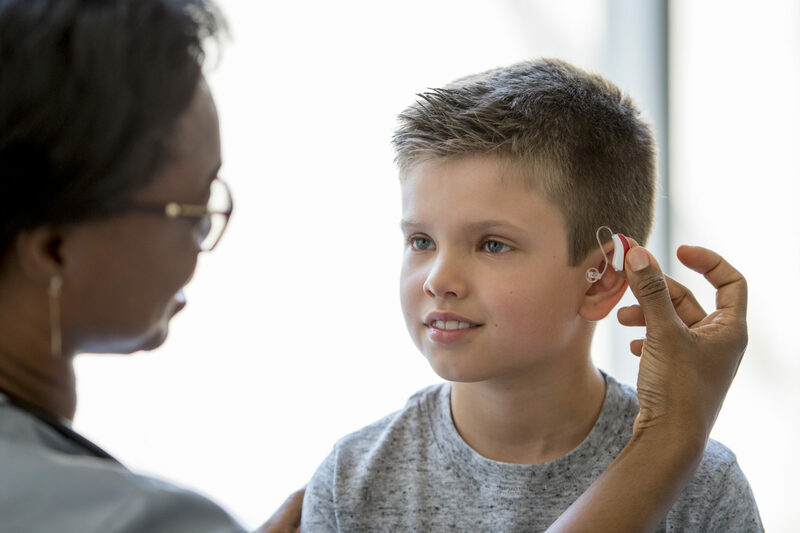 It is important to test your child’s hearing to identify unique situations such as a temporary hearing loss from ear infections, unilateral hearing loss or auditory processing disorder. 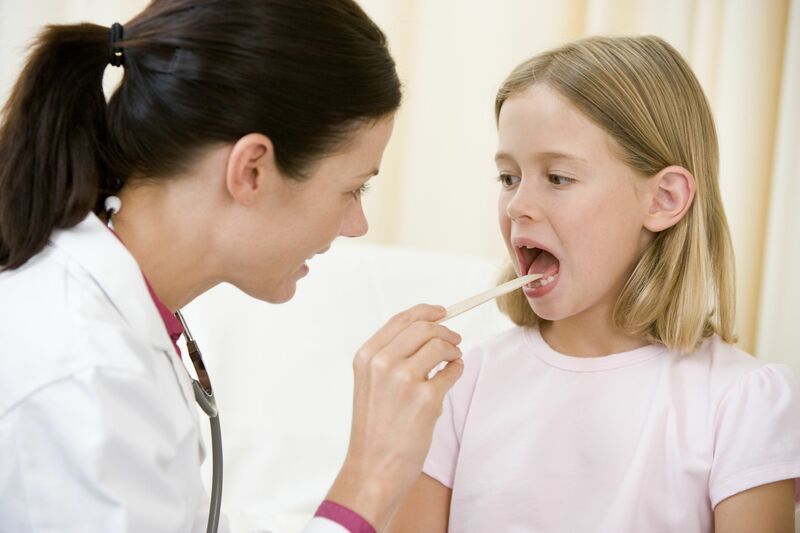 If you are concerned about your child’s ability to hear, contact Virginia ENT today to schedule an appointment or hearing test.